So allow me to play a little catch up. Right now, my main objective is getting ready for my recital, which is less than three weeks away. So needless to say, I’ll be pretty much hiding out in the practice cave and putting the finishing touches on everything. On the program is the Alwyn Sonata, Debussy Première Rhapsodie, Yadzinski Sirène, Muczynski Time Pieces, and Lovreglio/Verdi La Traviata Fantasia da Concerto. I am really excited, I can’t wait! Aside from gigs, I also took a trip to Colorado to take an audition. 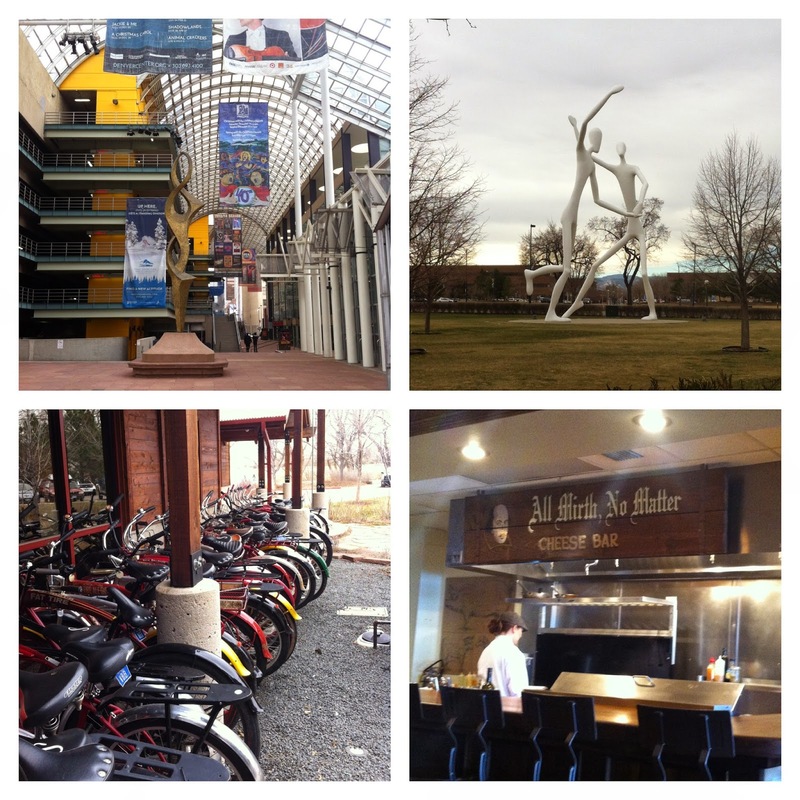 Even though I did not win, I still had a great time after the audition enjoying the sights around Denver. 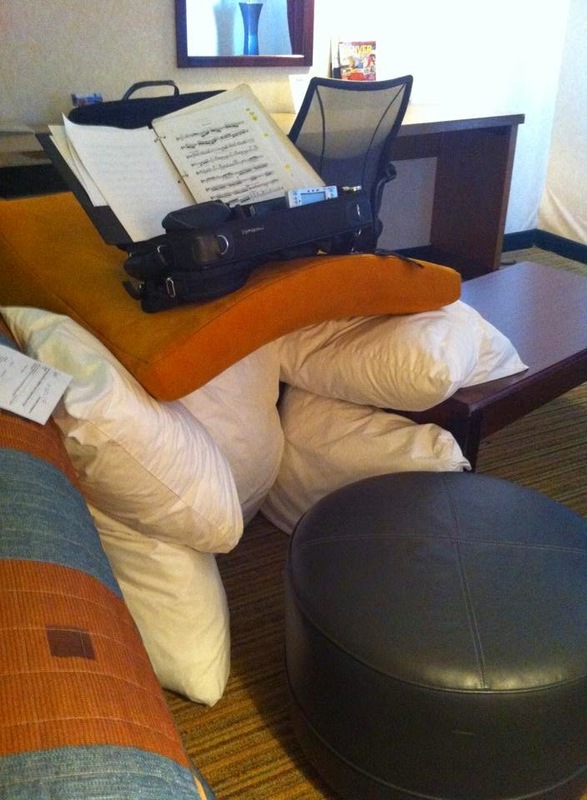 I also took the opportunity to try out the “Phil Smith practice cave.” This works really well for practicing in hotel rooms, especially if you have to practice something that can really disrupt an entire floor (ahem, Daphnis and Chloe). I also had time to catch a recital by Paul Garner, Yuri Anshelevich, and Gabriel Sanchez at the Dallas Museum of Art. They performed the Cello Sonata No. 2 in F major and the Trio in A minor. 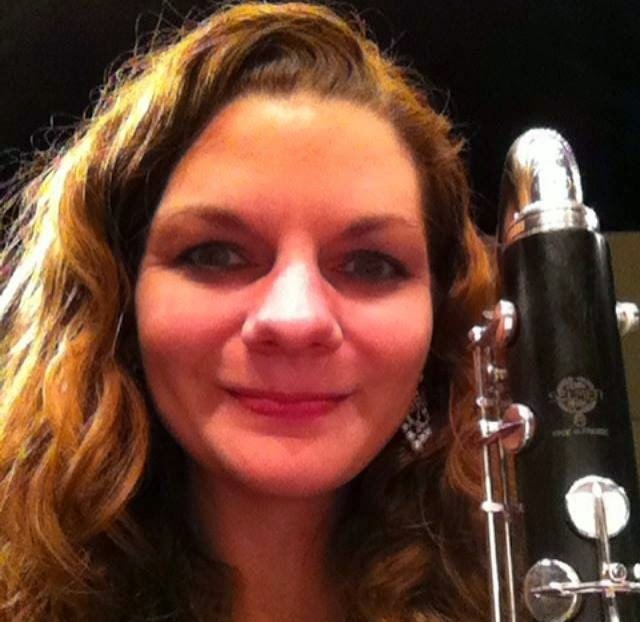 The recital is part of a series through the Fine Arts Chamber Players. On a non-musical note, I also ran the Rock ‘n Roll Dallas Half Marathon last weekend which was tons of fun! Anyways, this practice break is over. Until next time!